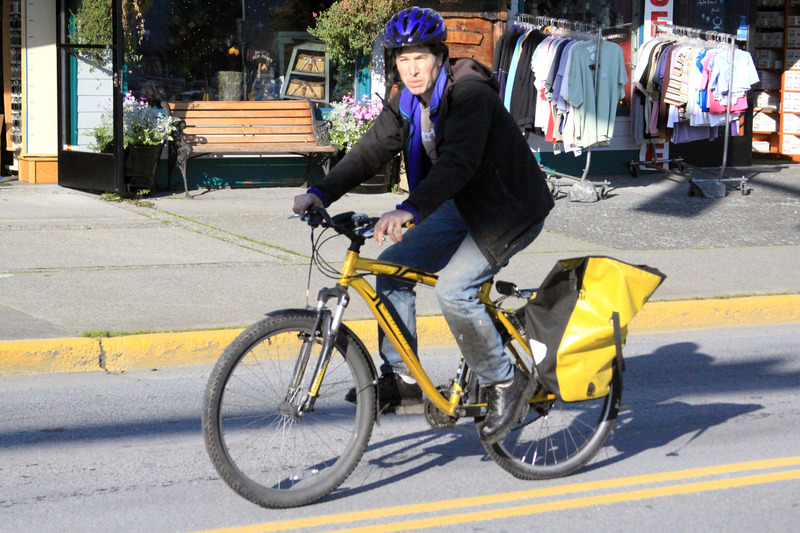 Daily Sitka Sentinel newspaper photographer James Poulson commutes by bike between photo assignments on Oct. 1, 2011. Sitka already was Alaska’s leading bike-to-work community, but the number of bike commuters took a big jump this past year. 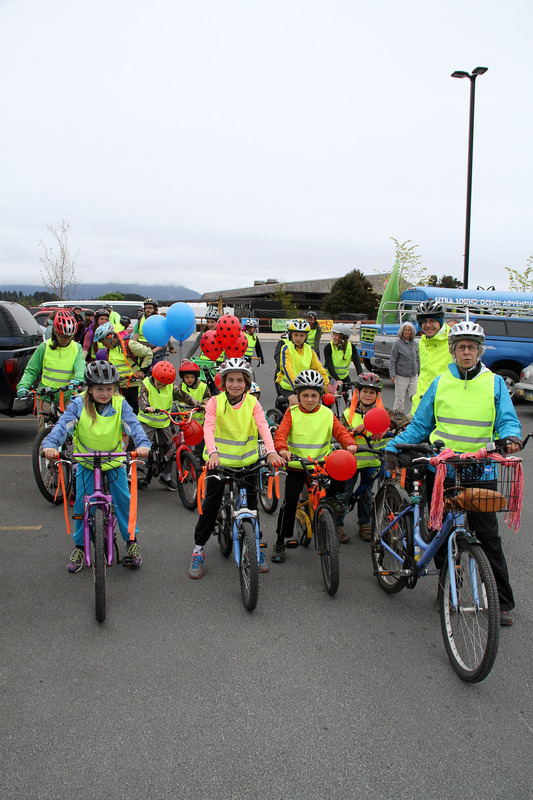 According to the 2006-10 five-year American Community Survey, conducted by the U.S. Census Bureau and released last week, Sitka had 4.9 percent of its workers age 16 and older commute by bike. That is Alaska’s highest percentage of bike commuters for any community with more than 644 people. The American Community Survey estimated Sitka’s population at 8,894, with 4,753 workers age 16 or older and 233 bike commuters. Sitka also had a pedestrian commuter rate of 11.3 percent, giving Sitka 16.1 percent of its population who use non-motorized transportation to get to work (no stats were available for people who commute by kayak). 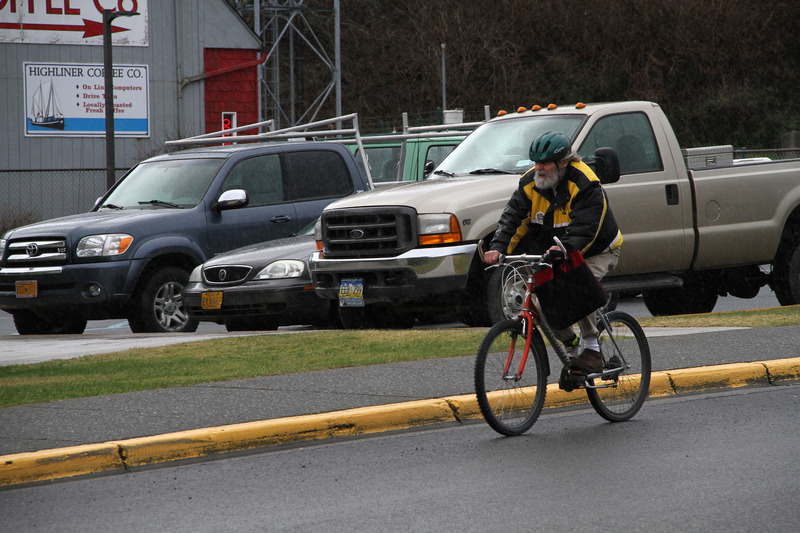 In the 2005-09 American Community Survey, Sitka had 2.87 percent of its workers commute by bike. That was the highest percentage for any Alaska community with more than 752 residents. The American Community Survey estimated Sitka’s population at 8,747, with 4,705 workers and 135 bike commuters. 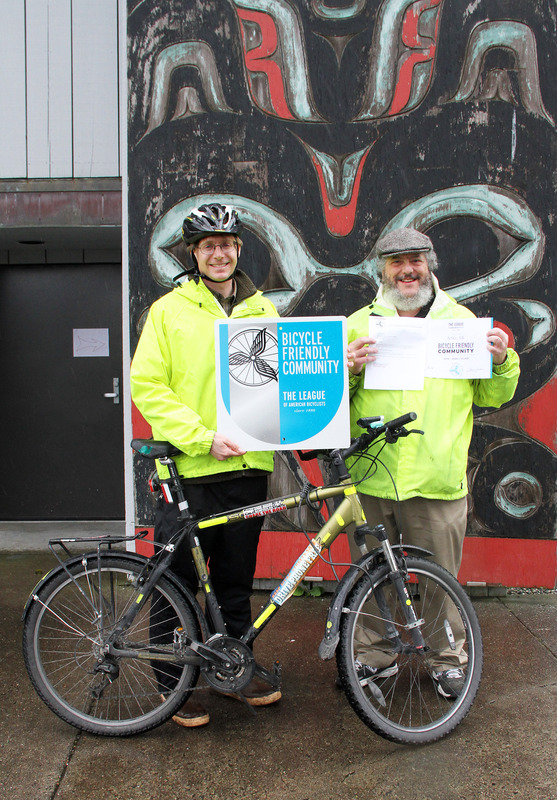 Sitka’s 4.9 percent bike commuter rate is five times the state’s average of 0.98 percent, and nearly 10 times the national average of 0.51 percent. 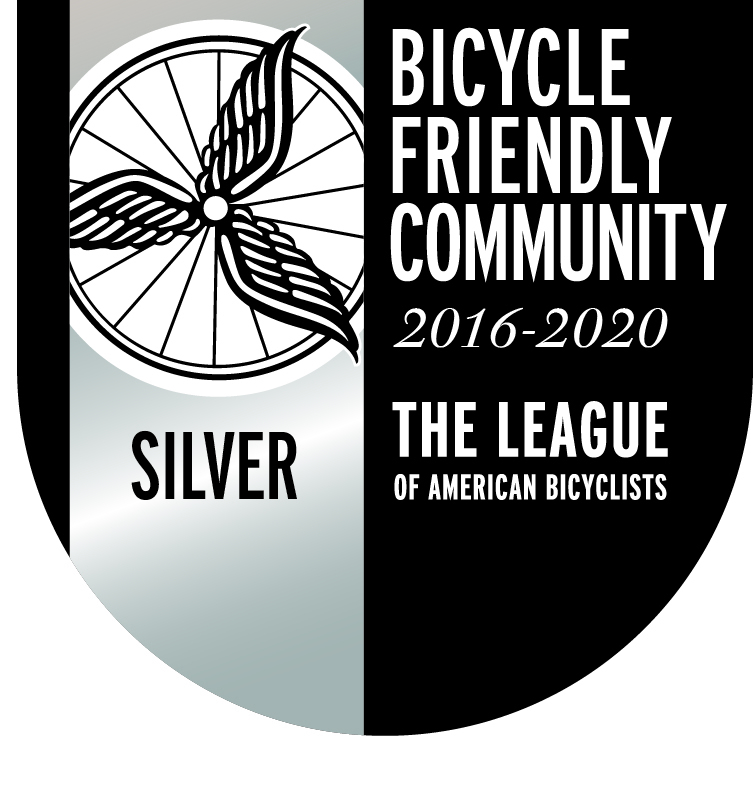 Sitka also ranks well ahead of Alaska’s other two Bicycle Friendly Communities — Juneau with 1.95 percent (331 bike commuters out of a population of 30,975 and 16,967 workers) and Anchorage with 1.04 percent (1,514 bike commuters out of a population of 284, 267 and 146,016 workers). The American Community Survey estimates Alaska has 3,269 bike commuters out of a population of 691,189 and 334,044 workers. Bob Laurie, the Bicycle and Pedestrian Coordinator for the Alaska Department of Transportation and Public Facilities, has compiled lists the past two years ranking communities around the state. In both lists, Sitka ranked 10th overall in Alaska. But all of the communities ahead of Sitka were much smaller. Bob cautions people that these numbers are estimates and Sitka’s margin of error in this survey is 50 percent (the bigger the population, the lower the margin of error). That means Sitka’s real number of bike commuters could be as low as 116 (2.44 percent) or as high as 350 (7.36 percent). He said the margin of error for the smaller communities can be as high as 100 percent due to the extremely small sample sizes.